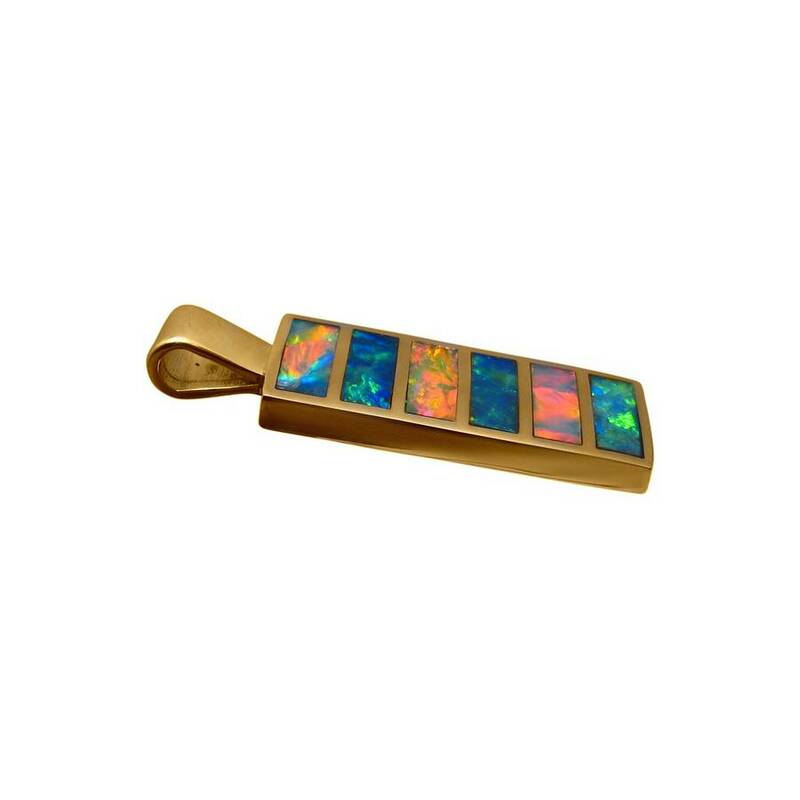 This inlay Opal pendant has bright and colorful Opal stones inlaid a a 14k Yellow Gold rectangle pendant. 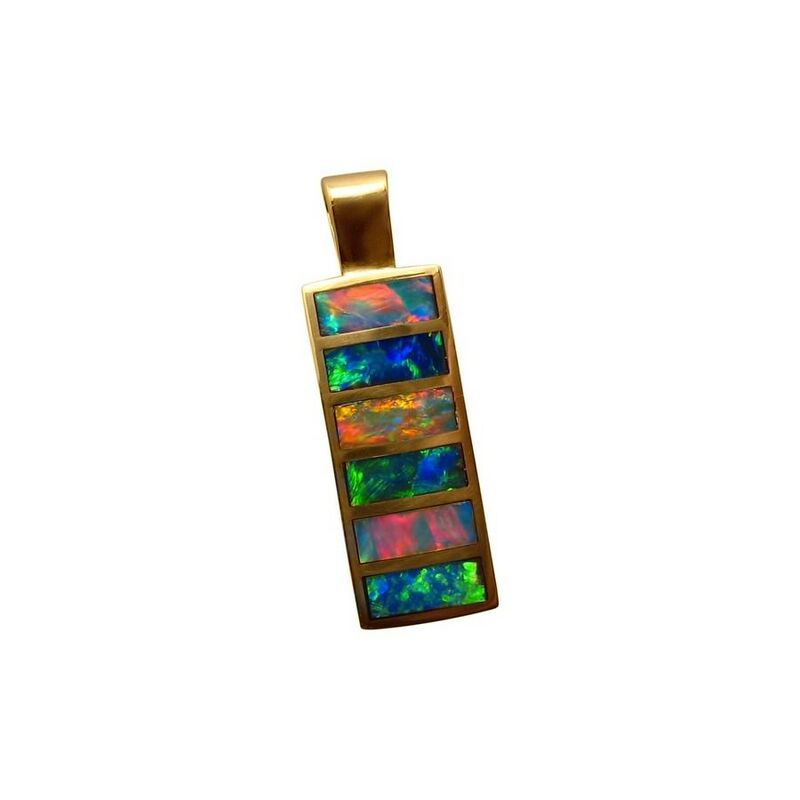 A bright and lively Opal pendant that men or women can wear. 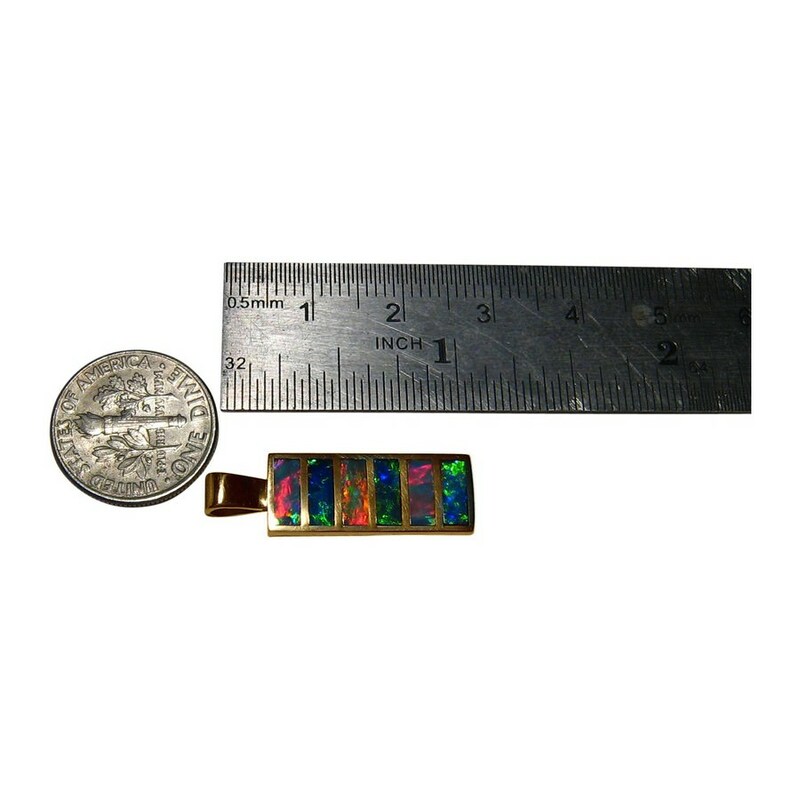 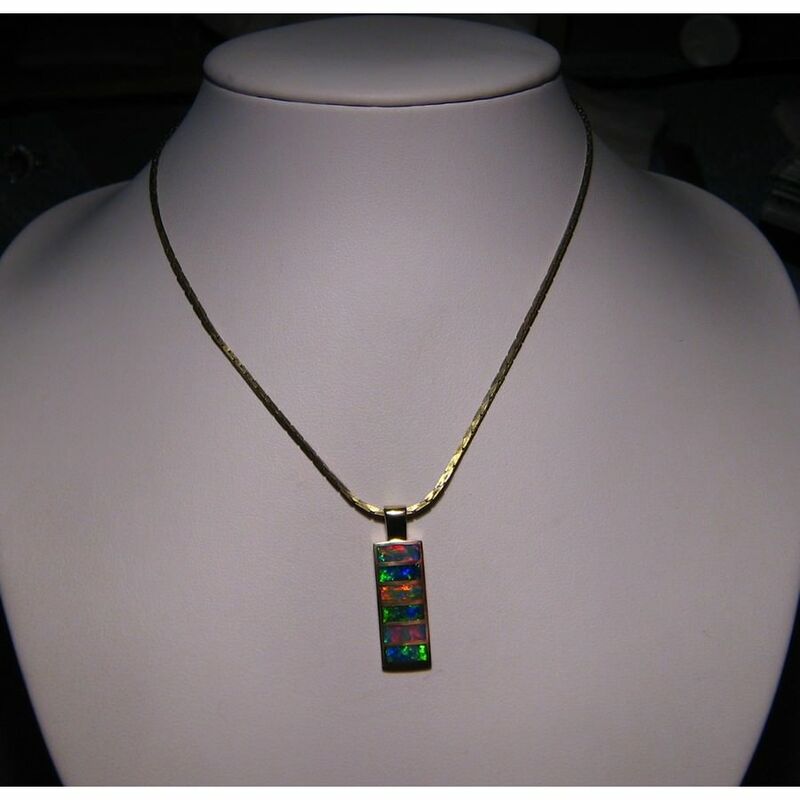 A 14k Yellow Gold rectangle pendant setting is inlaid with six top quality Lightning Ridge Black Crystal Opals with the 1st, 3rd and 5th Opals showing mainly Red while the 2nd, 4th and sixth Opals Blue and Green in color. 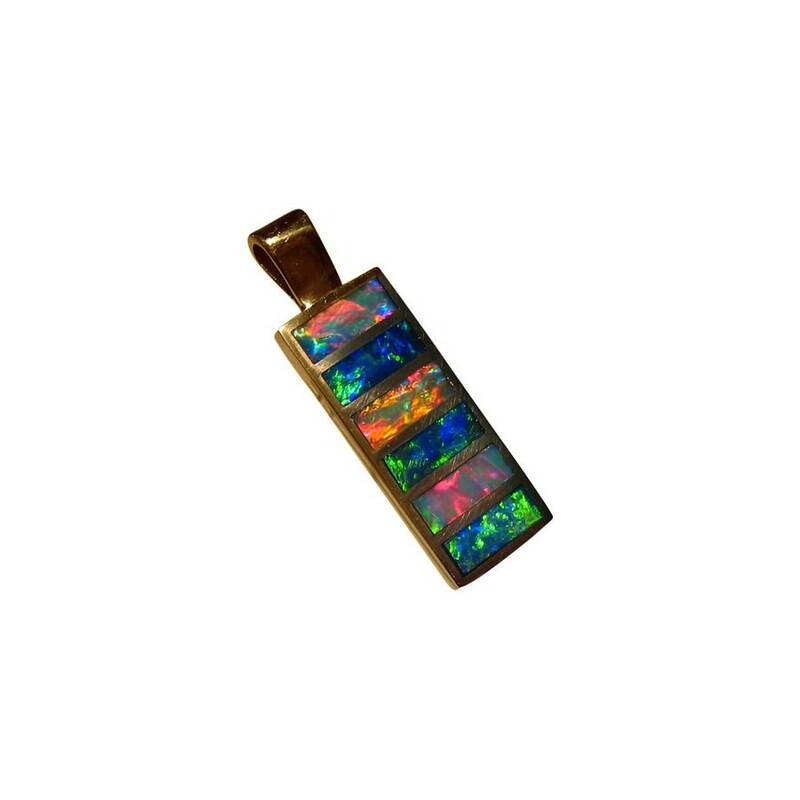 A very bright quality Opal pendant which will be admired and you can see the brightness and play of color in the video below. 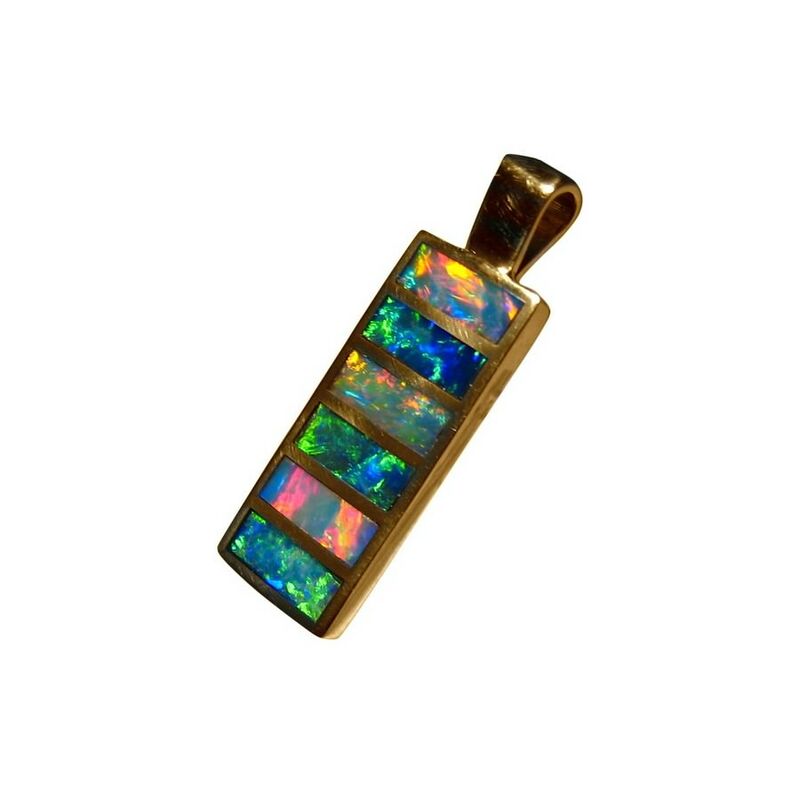 This stunning Opal pendant is ready to ship now but does not include a chain.